क्या आपने सोनम कपूर की शादी का कार्ड देखा ? 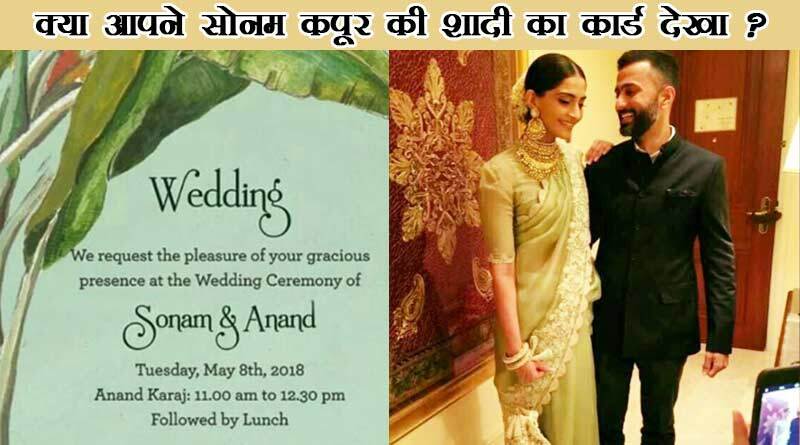 For more stories Sonam Kapoor Wedding Card, do Subscribe to our newsletter and follow us on Facebook, Twitter and Google+. ← Match 33rd: IPL 2018: KKR vs CSK – Who will win the IPL match today?